Attend our annual Best Friends™ Institute and be certified as a Master Trainer who can teach the Best Friends™ Approach to your staff, colleagues, and volunteers. Learn more about the Institute here. 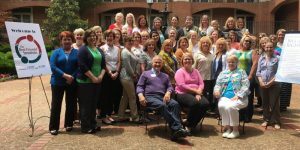 2016 Best Friends Institute, Nashville, Tennessee. The next Institute will be in Louisville, Kentucky in May 2019.